Aquinnah property purchased in 2014 abuts other land owned by the tribe. 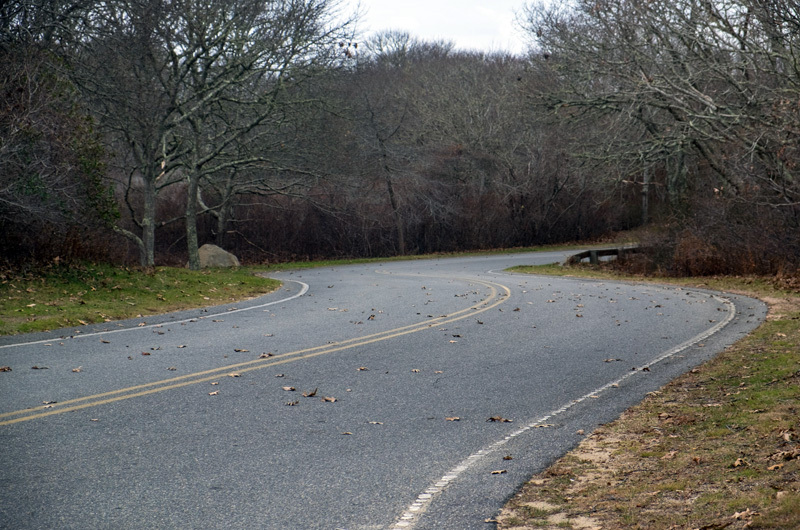 The federal Department of Interior’s Bureau of Indian Affairs this week announced plans to accept into trust about 15 acres of land for the Wampanoag Tribe of Gay Head (Aquinnah), a swath that borders current tribal lands and has frontage along State Road. The property was actually purchased by the tribe in late 2014, but the BIA decision would join the land with another 480 acres held in trust by the federal government for the tribe’s benefit. The move also raises questions about how the tribe might ultimately use the land. Coincidentally, this week’s BIA announcement comes as a legal fight over the tribe’s right to operate a gambling hall rests in the lap of the U.S. Supreme Court, which is expected to decide soon whether to accept the case for full review. The odds are in the tribe’s favor that the court will reject a bid by the town, the state and a community group to block the tribe’s gaming plans. The justices accept a small percentage of such certiorari petitions each year. If the tribe does prevail in court, the big question would be whether or where the tribe will attempt to stage a Class 2 (electronic bingo) gaming facility — in the recently completed community center or elsewhere. Tribal leaders have been mum about their plans. The BIA’s legal notice of its decision, to be published in Friday’s Gazette, could expand the tribe’s options for a potential gambling hall site, if the tribe decides to push ahead with gaming. But the land also could be used for a wide variety of other uses, including additional tribal housing or a health care facility. Of the tribe’s current land, less than 100 acres are suitable for development, tribal officials said at the time of the 2014 purchase. Moving the new parcels into trust is an expected move, but also stand to make them exempt from state and local regulation of Class 2 gaming, if the Supreme Court rejects the petition for review. At the core of the gambling fight is whether the 1987 Massachusetts Settlement Act’s gaming restrictions should prevail. Or, as a federal appeals court has ruled, does the 1988 Indian Gaming Regulatory Act supersede the Settlement Act and carve out Class II gaming as an exception to local and state regulations. Neither tribal chairwoman Cheryl Andrews-Maltais nor a BIA spokeswoman in Washington D.C. headquarters responded to requests for comment from the Gazette by mid-day yesterday. Until about two years ago, tribal leaders openly vowed to locate a gaming operation in an unfinished community center building. In July 2015, Tobias Vanderhoop, who was tribal chairman at the time, and Ms. Andrews-Maltais, then head of the tribe’s gaming corporation, said they hoped to open the gambling parlor by the end of that year. But a federal judge rejected the tribe’s case later in 2015. By early 2016, tribal leaders decided to finish the building and use it for its originally intended purpose — as a community center. The building was completed this year. On appeal, the tribe won a decision by the U.S. Court of Appeals for the 1st Circuit earlier this year. Some tribal members have said they are unaware of any announcements, either at membership meetings or elsewhere, about the leadership’s current plans for gaming. The land scheduled to be placed in trust has State Road frontage and abuts tribal lands. It was purchased from Toad Rock LLC for about $1.15 million. At the time of the purchase, a 1,970-square-foot summer house sat on one of the parcels. The BIA decision to allow the land to be taken into trust, was made on Oct. 6 by Bruce W. Maytubby Sr., director of the eastern region for the bureau. The legal notice lays out a 30-day period for any administrative appeal of the decision. The notice said the property consists of seven tracts of land “containing 15 acres, more or less,” with 4 State Road as the address for two parcels and State Road for most of the others. The land purchase in 2014 included eight parcels, including 4 State Road, totaling about 17 acres. It would be helpful if the article had a map showing where the land in question is. Agreed. Dear Vineyard Gazette, more maps please! Let's preserve the State road view-shed. Gambling by any other name is Greed,Greed is not good,it will devastate our Community short and long term with people of questionable character who,s goals are not in the best interest of the Island. It's a bingo parlor - I can assure you that people will not be headed there in droves. Shady characters will not be bucking up to take the ferry over just to yell out a BINGO shout. Just like many past ventures, this will fail too. We are members of the Wampanoag Tribe of Gay Head (Aquinnah). As Gay Head entered the 1900s, it was one of the newest towns in the commonwealth. One week after the bill was laid on his desk, acting Gov.